It appears Justin Shafer uncovered another leak involving personal information. This time, it’s the personal information of 11,771 individuals who applied to the State of Nevada Medical Marijuana Program to become an agent for a medical marijuana establishment (MME). 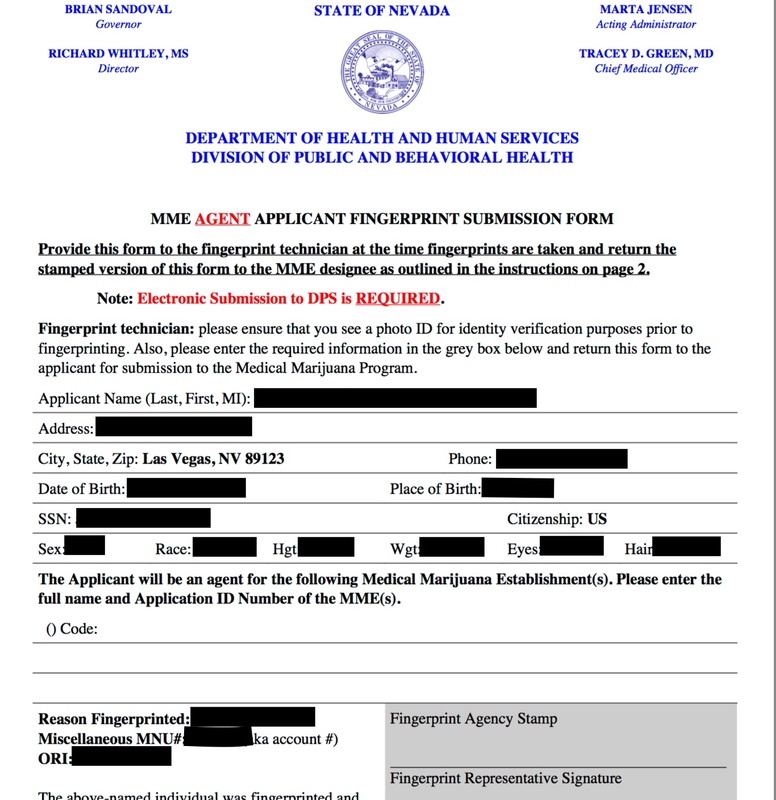 Application to become an MME agent for State of Nevada. Redacted by DataBreaches.net. Simple url manipulation would allow people to obtain applications, allowing for potential scraping and acquisition of all the data. The unsecured database, discovered by medical-industry security researcher Justin Schafer, remains exposed a week after the Nevada Division of Public and Behavioral Health (DPBH), which operates the portal, brought the system back online after a security “problem” forced the agency to take it down Dec. 8. The state’s Medical Marijuana Program is under the Department of Health and Human Services Division of Public and Behavioral Health. DataBreaches.net contacted the state and in addition to leaving voicemails with their IT security and DHHS, spoke with someone on their 24-hour security helpdesk who indicated they would escalate the message about the exposed files. Approximately one hour later, the files were no longer accessible. Update: Zack Whittaker got confirmation from a spokesperson that applicants will be notified in the next few days.